This post was originally written by one of our summer 2015 interns, Kelly Iden. Since things change pretty quickly in search engine marketing, we’ve updated and expanded the post with new stats and info. The average web user won’t go past the first five listings on a search engine results page (SERP). 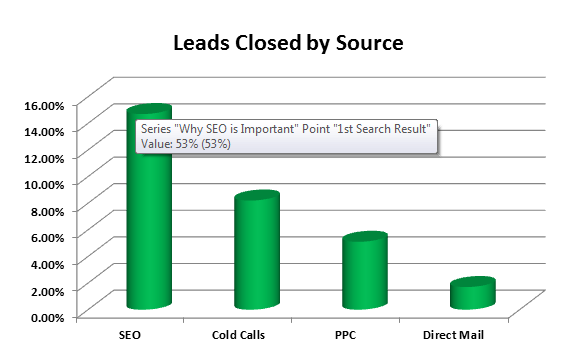 According to a 2014 study from Advanced Web Rankings, more than 67% of all clicks on SERPs go to the top five listings. Things start to get grim when you look past those first few results. Research shows that websites on the first search engine results page receive almost 95% of web traffic, leaving only 5% for remaining search results pages. 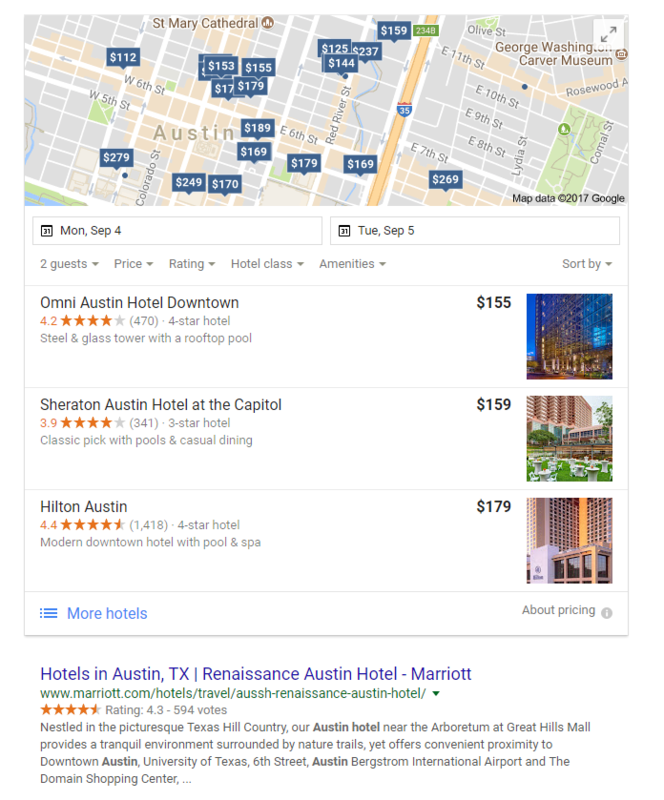 Why Does SERP Position Matter? If those stakes aren’t high enough for you, consider the fact that Google and other search engines factor in CTR when determining how to rank pages. In other words, Google will recognize a page with a high CTR as one that is valuable to readers and is more likely to push it towards the top of the SERPs. Because high click-through rates correspond with powerful organic search rankings, many companies question what it takes to reach their optimal search engine standings for their most valuable keywords. Claiming the top organic positions for relevant keywords is not an easy accomplishment, but one that many businesses worldwide compete for. As companies improve their SEO strategies and Google updates its algorithms, search engine rankings constantly shift. What Challenges Are Organic Search Results Currently Facing? It’s not just competitors’ organic listings that search engine marketers have to worry about. 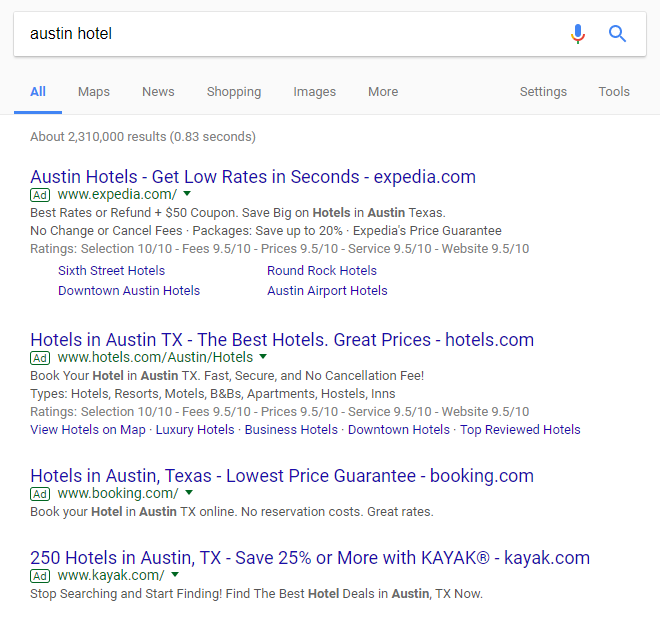 Google frequently tinkers with its SERP format, and depending on the search query, the first organic first result may be pushed below a local 3-pack, a featured snippet, or up to four text ads. 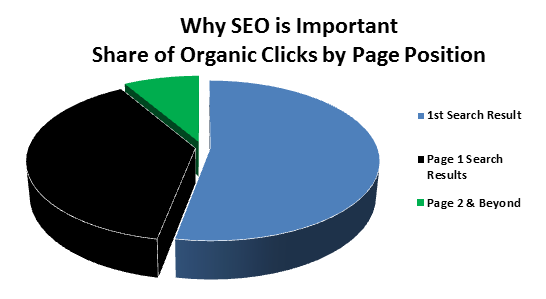 The presence of ads can make a huge difference when it comes to organic CTR. For SERPs with no ads, the average CTR for the first organic result is 30%, but that drops to 17.9% when ads enter the picture. Featured snippets can cause a major nosedive for click-through rates because in many cases, the searcher can get the information they need without ever leaving the SERP. A study from Ahrefs found that there’s approximately a 25% drop-off in CTR for the first organic result on SERPs with a featured snippet. However, in many cases, readers will click the link for a featured snippet to learn more, which can lead to a significant increase in site traffic if one of your pages gets featured. Search for long-tail keywords with higher traffic and lower competition. The more competition there is for a keyword, the harder it will be to rank on page 1. By focusing on long-tail keywords that are specific to your business, you’ll have a better chance of getting in front of the web users who need your product or service. Identify questions that your target customers are asking (and that are relevant to your business). 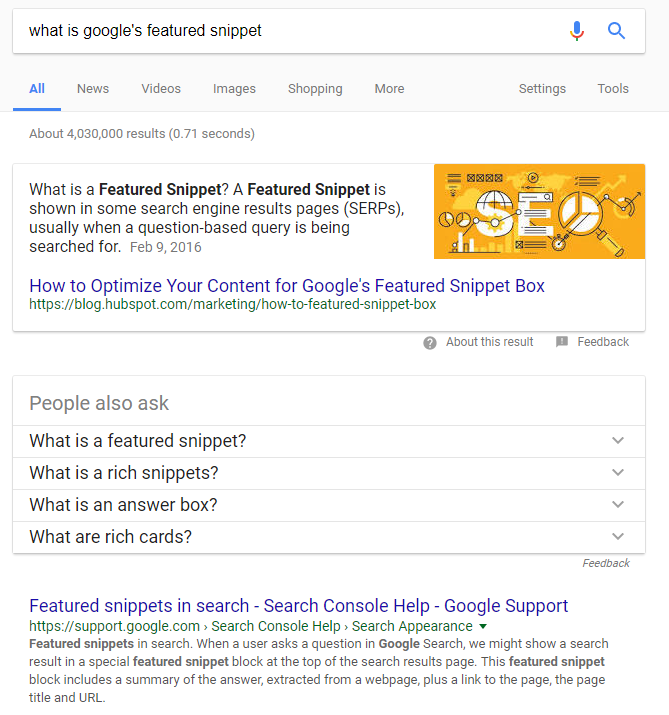 Provide in-depth answers to those questions in blog posts or knowledge hub pages on your site and your content may end up in a featured snippet. Work with a web development team to make technical improvements to your site. Improving your site speed and ensuring all your pages are mobile-friendly can give you an SEO boost. Optimize your title tags and meta descriptions. Your title tag and meta description make up the preview of your content that web users while see on a SERP, so you need to make sure they provide a compelling reason to click. Incorporating a primary keyword into both the title and description can help you rank higher for relevant search queries, too. Companies that pay attention to their search engine optimization strategies will find that in return, users will notice their website links, leading to higher click-through rates, greater visibility in the SERPs, and more customers. Need help with your SEO strategy? Contact our digital marketing team—we can perform a site audit to help you identify opportunities for higher organic rankings. https://www.theleverageway.com/wp-content/uploads/2015/08/SERP-Featured-Image.png 300 900 Madeline Jacobson https://www.theleverageway.com/wp-content/uploads/2016/05/logo-1.png Madeline Jacobson2017-08-14 11:50:452017-08-14 21:33:00How Far Down the Search Engine Results Page Will Most People Go? It wasn’t the subject or its creator of “The Newsroom” that caught my interest: it was a heated argument between the news show’s president (played by Sam “Jack McCoy” Waterston) and the young, new owner of the station over the direction of the show. Waterston’s president is an old school newsman, preaching integrity, accuracy and a sturdy moral compass, while the owner wants to make new technology from on-the-street witnesses and on-the-spot reporting – checks and balances be damned – an integral part of the reporting process. The divide between old and new marketing strategies may not be as vast – or as ethically debatable – as that between Edward R. Murrow and a tweet, but what was once an innovative means for companies to reach out to their clientele or consumer base has become old hat. Convincing the CEO or marketing head that embraces the old school means of communication to give organic marketing and SEO a serious shot is usually no small feat. The reluctance to embrace the long-favored, yet increasingly antiquated mediums remains common in 2014. Yet other companies have switched sides, putting their digital marketing plans for the year front and center in their annual plan at best or investing that chunk usually reserved for print, radio or television into digital and lessening their concentration on one of the old school means of communication. Companies that now rely on marketing tactics such as keyword targeting, content optimization and pay per click ads are also doing their homework. They consider the data and reports that come from these practices (which we put into play for many clients here at Leverage when it best suits their needs), but also use it as an indispensable resource for future marketing and sales campaigns. Market research that can be conducted through Google Trends/Insights and Adwords reports can help you see if the market for your product is growing or declining and also forecast seasonal trends for that product. Entire industry trends can be analyzed along with the activities of main competitors. Additionally, SEO is moving beyond of the sales and marketing realm and is now being used by some smarter companies for other purposes, such as product research and development. Rather than inventing a product and then figuring out how to market it to the masses, Google and other search engines can give companies insight into what the consumer is looking for and create that product, upgrade or add-on based on consumer queries and other behaviors. These are some of the reasons why Leverage Marketing can provide such powerful insights to its clients and use digital marketing and advertising to boost their business and their bottom line to the next level. With each passing year, the online marketplace becomes more important to a business’ survival. According to comScore, in the first quarter of 2014, 198 million U.S. consumers purchased something online – that’s 78% of Americans aged 15 or older. 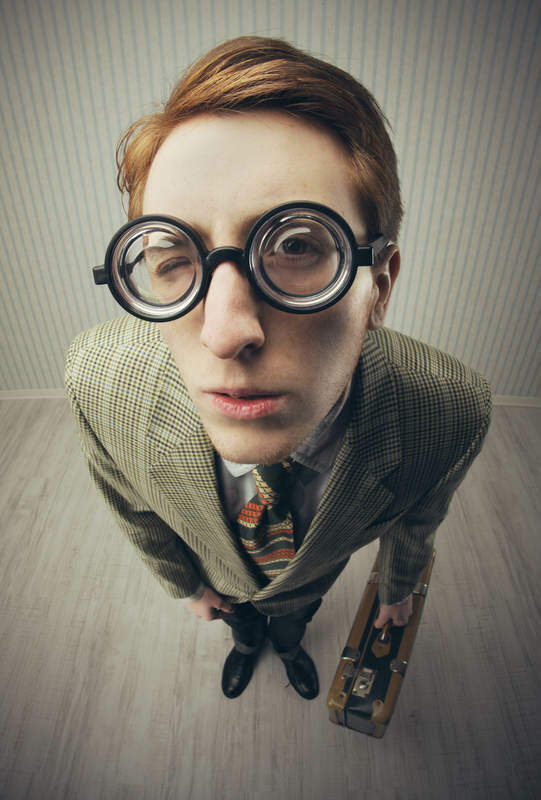 Are you sure your 2015 SEO strategy will help you reach that massive audience? Each year the rules of search change and technology advances, providing new opportunities to get in front of your customers before your competition. Ensure you are ready for 2015 by following our SEO tips today. The growth of mobile in the past few years has been astonishing. The customer no longer waits to get home to research & purchase on their desktop – 60% of internet users now access the Internet mostly or exclusively via their mobile phones (Marketing Land). Mobile users and search engines alike are increasingly unwilling to settle for a sub-par mobile experience. In 2015 Google is now flagging sites in their results as “Mobile Friendly” and setting out mobile SEO best practices. If you don’t know what those guidelines are, it’s time to find out – Google now has 83% of the mobile search engine market locked down in the US (Search Engine Land). In early 2011, Google made a change to its algorithm, called “Panda,” in order to improve its ability to evaluate the quality of content on websites. Since early 2011, Google has made 27 updates to Panda. That’s a whole lot of attention to one particular facet of Google’s secret sauce…makes you think it must be pretty important, doesn’t it? Google wants content on the websites it serves to be unique and valuable. If you can’t remember the last time you REALLY looked at your content, it’s time to revisit it and make sure it’s relevant and better than ever to meet Google’s rising standards. Over the past few years, Google has gone to great lengths to improve the content visitors find through its engine with its updates to Panda. At the end of 2013, it went even further by introducing Hummingbird. Hummingbird changed the way Google interprets user intent – it was like upgrading Google’s search engine from a V4 to a V8. It’s meant to interpret the spoken and more natural sounding queries that users make of its search engine, and provide content that corresponds to those needs. A semi-maintained company blog doesn’t cut it anymore for quality content – best SEO tips 2015 practically requires that your site needs to be answering questions and hosting interesting conversations to get Google’s attention. And if people are talking about and linking to your site online, it should be for that reason. Otherwise, Google’s Penguin update is coming to get you. Do you have spammy links from directories, or articles still posted across the web on 50 different generic directories? In 2015 your best SEO strategy is getting those cleaned up – or Google’s link-targeted Penguin update is going to clean you up, and off, their engine. Great information on a technically sound website that can be accessed with the snap of a finger everywhere and anywhere – that’s what Google is looking for in 2015 for SEO. Do you think your site can pass the test? If you’re not sure, Contact Us today and we will audit your site and let you know the specific steps you need to take to improve your search engine optimization in 2015. Are you a fan of the door-to-door salesman? What do you do if some stranger comes knocking while you’re in the middle of a meal or your favorite TV show …Ignore them? Most people do. What about annoying telemarketers that intrude on your dinner conversation? That’s what traditional outbound marketing is all about. Outbound marketing, also aptly named interruption marketing, attempts to approach people with no demonstrated interest in a product or service and reel them in. This type of marketing abruptly bursts into people’s lives uninvited and includes radio commercials, TV commercials, direct mail, telemarketing, door-to-door, spam or e-mail blasts, and even networking. It is also often ignored, just like the salesman. Best-selling New York Times business author Daniel Pink who recently wrote To Sell is Human points out that this predatory approach to selling is quickly becoming outdated. He believes that sales has changed more in the past 10 years than it did in the last century, and most of this is due to the internet. Many adept marketers and business professionals have taken note of the same, and realize that the predatory approach is slowly being phased out of our culture. Most of us these days have a radar for aggressive sales tactics and don’t appreciate being hunted down like dogs. So, what is taking the place of these outdated, bothersome sales tactics? That would be inbound marketing, or inbound demand generation. Rather than wasting time with trying to convince uninterested parties to take a second glance at your product or service, inbound marketing draws people who are already somewhat interested in your business, and they have the choice as to whether they want to listen to what you have to say or not. Creating inbound demand generation involves blogging, social media, SEO, and targeted emails. Does this really work? Companies that practice inbound marketing and marketing research institutes emphatically say that yes, it works even better than the old approach, and it’s less expensive to top it off. What Do Professional Marketers Think? The majority of CEOs and marketing executives are devoting more of their marketing budgets each year to inbound marketing. 2013 budgets for inbound were around 50% higher than that of the previous year. Almost every marketer realizes that SEO is a valuable aspect of inbound, with about 54% of clicks going to the first search result of search queries. Apart from SEO, 60% of marketers dedicate at least 6 hours per week to social media. Interaction on social media platforms produces 2X more leads on average than trade shows, telemarketing, direct mail, and even PPC. Companies report that social takes more time than blogging and email marketing, but most of them are putting aside the resources to do it for obvious reasons. 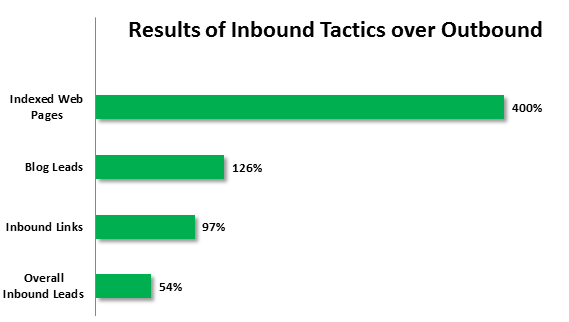 Marketers also enjoy the fact that inbound marketing efforts are far easier to measure than traditional outbound efforts. On the side of the customer, 82% say that they enjoy reading relevant content from a brand. Over 70% would rather learn about a company or product by reading an article rather than seeing an ad. Wouldn’t you? Through inbound marketing, potential clients and current clients are able to learn about a company on their own time instead of having it shoved in their face, and they can explore products that revolve around their interests. Switching over to a mostly inbound marketing system can be difficult and time consuming, but it’s definitely worth the effort. If you don’t rank on the first page of search results, or you’re not blogging or bothering with other inbound tactics, you’re missing out on a lot of traffic, leads, and revenue. Most companies can’t do it all on their own and get outside help from professionals. Drop us a line or give us a call to learn more about getting leads to come to you, not the other way around. *Data from the chart above compiled from Hubspot, The Houston Chronicle, & Smart Insights. *Data throughout compiled by Hubspot unless otherwise indicated. Jimmy Conway: You stupid b*****d, I can’t f****n’ believe you. Now, you’re gonna dig the f****n’ thing now. You’re gonna dig the hole. You’re gonna do it. I got no f****n’ lime. You’re gonna do it. Tommy DeVito: Who the f**k cares? I’ll dig the f****n’ hole. I don’t give a f**k. What is it, the first hole I dug? Not the first time I dug a hole. I’ll f****n’ dig a hole. Where are the shovels? What a great scene in a mobster movie! BUT what does that have to do with digital marketing? I’ll tell you what it has to do with digital marketing. Jimmy and Tommy spent a lot of time digging a hole to make a body disappear to never be seen again. But the best hiding place for a dead body is really on the 2nd page of Google or beyond. Studies have shown that about 91.5% of search engine click throughs occur on the first page of search results. The rest of results pages only make up a slender 8.5% of clicks. Even worse, recently, we have been approached by more and more companies that have been serviced by non-forward thinking SEO firms. These SEO firms pursue outdated and frankly lazy SEO tactics that put their clients’ sites in jeopardy. These tactics might have worked some time in the past but now, they do way more harm than good. Companies using these SEO providers have seen sharp declines in their organic traffic due to Google penalizing their site for spammy SEO tactics. In these cases, your site’s rankings go the way of Spider – buried on the second page of search results or far, far beyond that. We’ve even seen companies ranking on the 10th page of search results for their own brand names! More and more companies are facing sharp declines like this because their SEO agency took the easy way out. The road back to Google’s good graces is not a fun one and can leave your business struggling while the traffic is not coming in. Overall, when confronted with a penalty there are really only 3 approaches. Fix it – Go through the arduous process of fixing it and pleading with Google trying to convince them that you’ve sworn off anything spammy. Hybrid – Look for a place to move your site or fold it into an existing partner site. This will allow you to distance your site from the past practices but still build off the SEO value of an already existing site. An example of this approach is folding a penalized satellite site into a subdirectory of your main company site. Start over – The cleanest approach to get back your rankings over time is closing shop at your penalized domain and reopening on a different server with a different domain name. This is also perhaps the clearest path to success since the ball is in your court and not left to the whim of Google and the responsiveness of their web spam team. Each of these approaches has pros and cons, but you have to determine the best approach for your business based on what the data is telling you to do. We are strong believers of the mindset that the data has all the answers and that the answers are just waiting to be uncovered. So the next time Goodfellas comes on, enjoy the movie, but you also might want to think about how close your site is to being buried in a deep, deep hole never to be seen again. https://www.theleverageway.com/wp-content/uploads/2014/03/Digital-Marketing-Digital-World.jpg 199 300 Madeline Jacobson https://www.theleverageway.com/wp-content/uploads/2016/05/logo-1.png Madeline Jacobson2014-02-17 17:22:292016-03-24 22:29:22Digital Marketing or Marketing in a Digital World? Offering a variety of deals that expire shortly give buyers a since of urgency, and is sure to get more traffic to your site. Maybe potential buyers already have one gift in mind that they’ve priced on several websites, including yours. Offering free shipping or a temporary 15% discount can drive them to finalize purchases sitting in their shopping carts, cutting out the competition in a matter of minutes. Advertise deals at the top of your site, in PPC ads, through e-mail campaigns, or all three. Partner with a company that offers a product or service that compliments yours but is not direct competition. For instance, if you sell clothing, you could partner with a shoe store or website. Offer a $10 discount on a pair of shoes for buying your products while they do the same for you. This will get more traffic for both partners and help finalize sales. Many holiday shoppers are lazy or just don’t have the time to figure out what to get for their Uncle Tim or Aunt Jane. Even shopping for Dad can be difficult. Help them out with suggestions on your website or through your automated e-mail campaigns and save someone the time by coming up with a great gift idea for them. If you’re missing product information or images on your website, now’s the time to get them up. Don’t lose holiday shoppers to competition just because they have more detailed information. Someone who can’t zoom in and see all angles of a product will go to a site where they can. Also, make sure the shopping cart or ordering process is fully optimized. The ease of ordering and customer service will bring shoppers back to your site. To get more traffic on top of that, make sure your site is optimized for mobile shoppers. 56% of Americans now own a smartphone while 4 out of 5 of these will use it at some point during the shopping process. Utilize Google Trends to test search terms for your products, services or sales. Google Trends allows you to select your region and date range so that you can see how your search terms have performed historically around the holidays. This will give you a better idea of what to focus on when writing ads or web content to get more traffic over the holidays. You can also monitor current trends and create Google Alerts to notify you when your holiday search terms or terms related to your business escalate. Take advantage of the burst of traffic to post an ad or a time-sensitive deal.